Together again, at last! 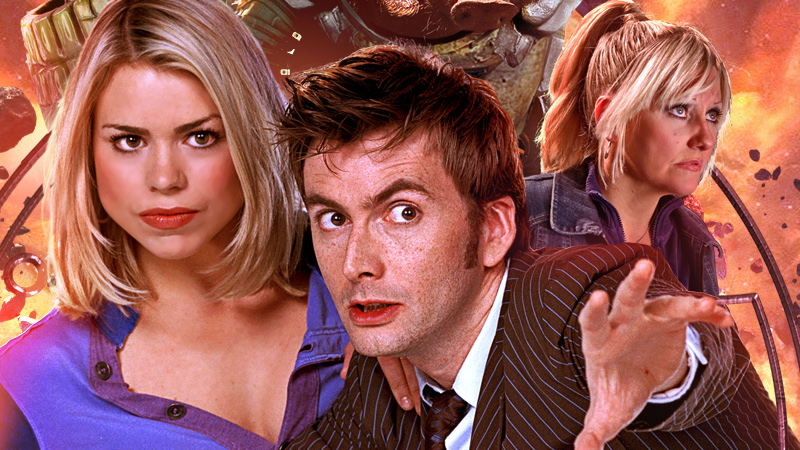 Big Finish and the BBC have just announced that David Tennant and Billie Piper will reprise their roles as The Doctor and Rose for a series of three new audio dramas, marking the first proper new outing for the Tenth Doctor and Rose Tyler together in nearly a decade. The three new adventures—”Attack of the Zaross” by John Dorney, “Sword of the Chevalier” by Guy Adams, and “Cold Vengeance” by Matt Fitton, will see the Doctor and Rose face enemies old and new, from sinister aliens kidnapping humans in 1791 England, to deadly Ice Warriors aboard a frozen asteroid. With little Doctor Who on TV last year, the first volume of The Tenth Doctor Adventures delivered some of the most fun Who stories around, with an uncanny ability to capture the style and tone of stories during David Tennant’s era on the show. Hopefully this second volume will be just as good at bringing us back to the heyday of the Doctor and Rose’s time on the show. Doctor Who: The Tenth Doctor Adventures Vol. 2 will be available from Big Finish both in standalone releases or as part of a special box set, digitally and physically, this November.